Cycles of Brass is a digital media art installation by Lalya Gaye, Alexander Berman and Filip Strebeyko, which aims to foster a reflection on the resilience, vulnerability and transient nature of Northern English brass music culture throughout history. 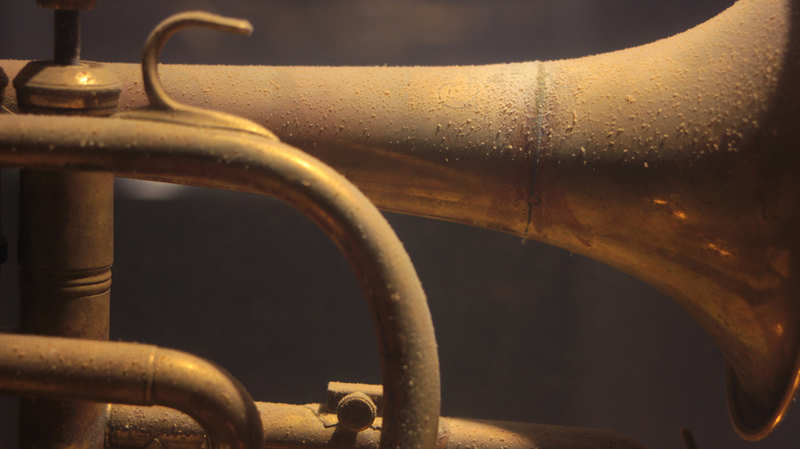 It visually, sonically and metaphorically links this question to the physicality of brass – the material that shapes the musical aesthetics and history of brass music – and to the transformative impact of time and context. 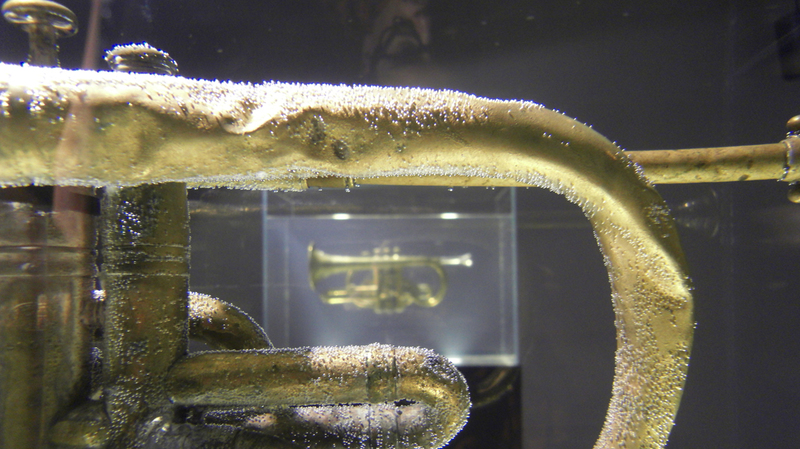 Two formerly discarded brass instruments are suspended in separate transparent water tanks and exposed to opposite transformative chemical reactions; one progressively decaying, and the other being progressively restored throughout a period of three months. 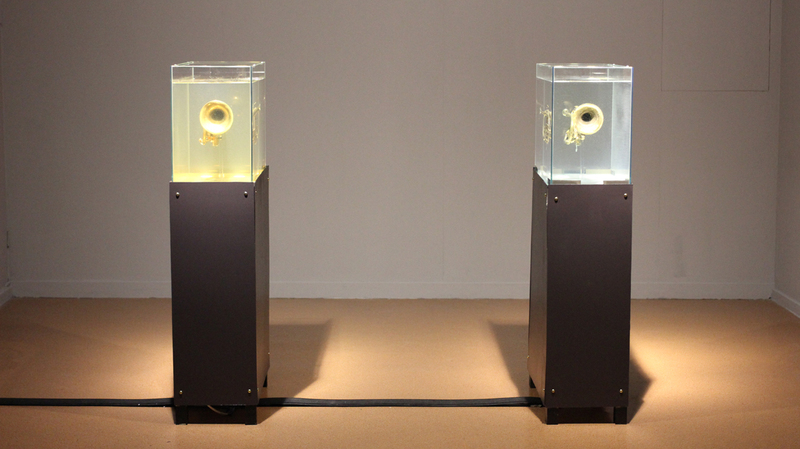 These processes are translated into an abstract brass soundscape that changes in parallel with the instruments using sensor and sound processing technology, thereby linking the physical transformation of the instruments to the acoustic realm for which they were created: a webcam senses the visual changes on the surface of the brass using Processing, while a Supercollider sound processor modifies bespoke samples of brass sounds based on the changes of sensor values through time. 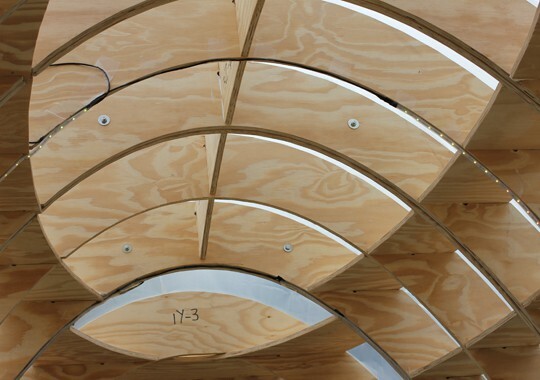 ‘Cycles of Brass’ was commissioned by Brass:Pitch, the digital media art programme at the Brass International Festival, and co-funded by the Arts Council England and the Swedish Arts Grants Committee. 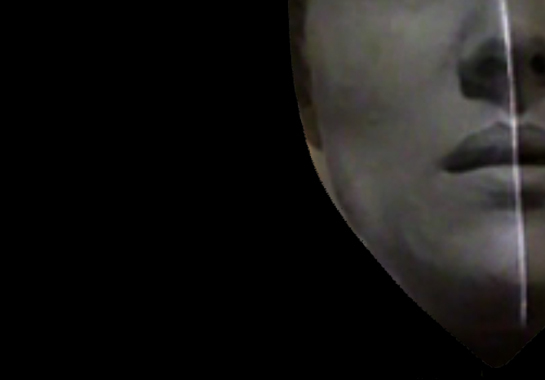 It was on view at the DLI Art Gallery in Durham, UK, between 28th June and 21st of September 2014, during which time the piece was gradually changing, both visually and sonically. Besides the installation, this project also included two hands-on workshops about art and science delivered by the artists to groups of students from the local schools Durham Gilesgate Sixth Form College and East Durham College. In this piece, the cycles of popularity, decay and re-invention of this culture are echoed by the accelerated decay and rejuvenation of the brass instruments, placed into condensed environments. Time and materiality are central to music and to brass music culture in particular on various levels. Sound is physically transient in nature and music is sound structured in time, while music culture is a phenomenon that not only evolves throughout history but also participates in the shaping of History itself. 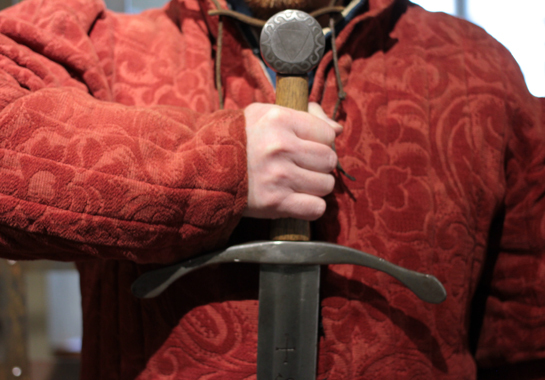 Brass culture for instance has been an intrinsic part of the fabric of the local culture of the North East of England, one with a strong impact on local traditions as well as one with periods of transformative transitions. The physical and acoustic properties of brass as a material are also central to brass music and its culture. We wished to create an abstract yet observable representation of the changes that this culture goes through by focusing on the physicality of brass itself. A material that is vulnerable to time and to the elements, while often able to be restored to its former glory through chemical processes. 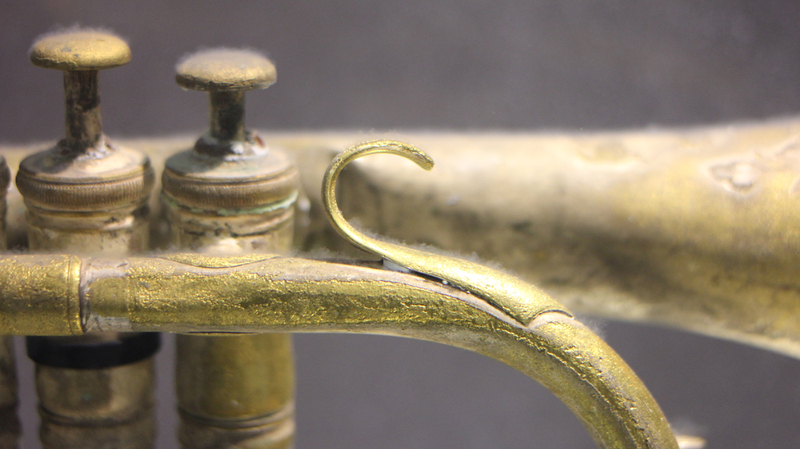 Air, humidity, and exposure to the elements for instance oxidise and corrode the surface of brass, transforming its colour and texture, while chemical reactions can clean the surface from this tarnish. The physical transformations through which the instruments go within the period of the exhibition and the soundscape they generate, both become a resonance to the transformations of brass music culture; with their acceleration rendering the evolution tangible to the audience. What do these instruments look and sound like after three months? How do time and environmental factors affect their physicality, aesthetics and value as instruments? What parallels can we draw to the cycles of brass culture?